Just to clear any confusion, this is not a sponsored post, but something I decided to do as a review on my own. Last month, I turned 21 (whoo-hoo! ), and as a birthday present for myself, I decided to give Club W a try! It's a fun site that's essentially the wine version of Just Fab. You take a quiz that finds out your taste preferences, and then they offer you selections that are tailored to what they think you'd like. The deal is that you only pay $13/bottle for exceptional wines per month (although, you have to get 3 bottles each month, so it's really about $40/month!). Check out these cute bottles though!! 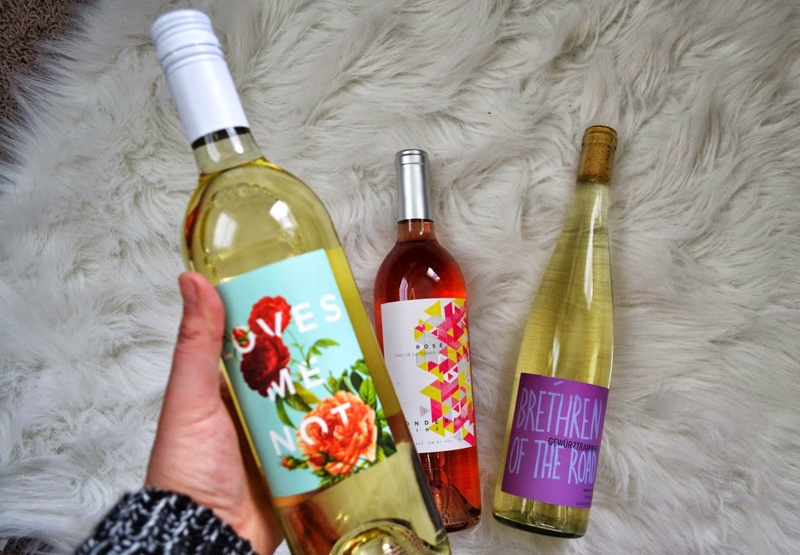 Oh my word, I cannot get over the cute packaging of these wines. 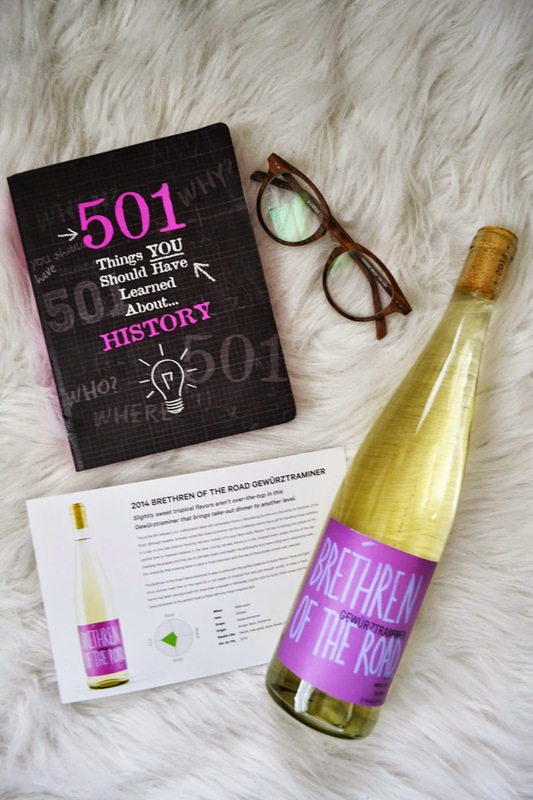 "Slightly sweet tropical flavors aren't over-the-top in this Gewurztraminer that brings take-out dinner to another level." Don't mind the obvious prop of a matching, purple tinted book and scholastic wood-frame glasses. I just felt it suited the more studious appearance of this particular wine bottle. 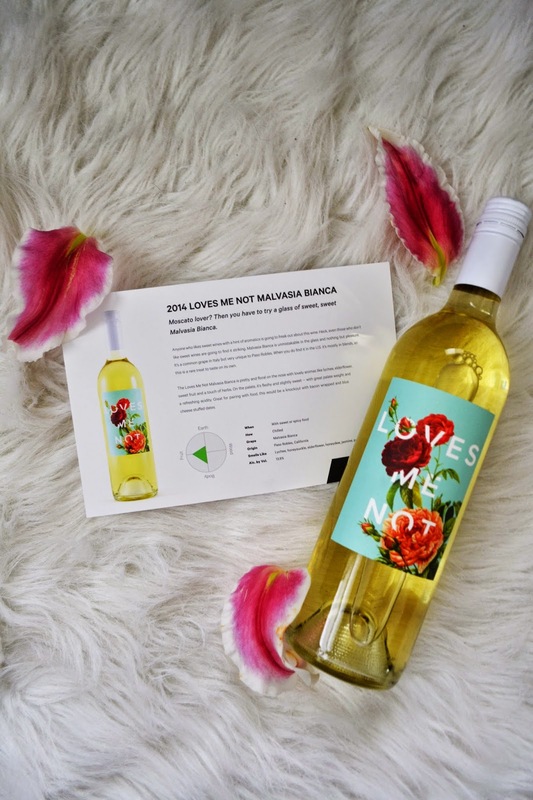 "Moscato lover? Then you have to try a glass of sweet, sweet Malvasia Bianca." My initial impression of this wine was "Is there even alcohol in this?" I shared a glass or two with my roommates, and man, did this bottle go fast. It's very light, sweet, and perfect for a chill evening in with some Netflix and friends. About an hour after I'd had two glasses, I could feel the soothing warmth of the relaxing wine swirling in my belly, and I went to bed happy as can be. So if you're looking for something to sip on before bed, I definitely recommend this one! 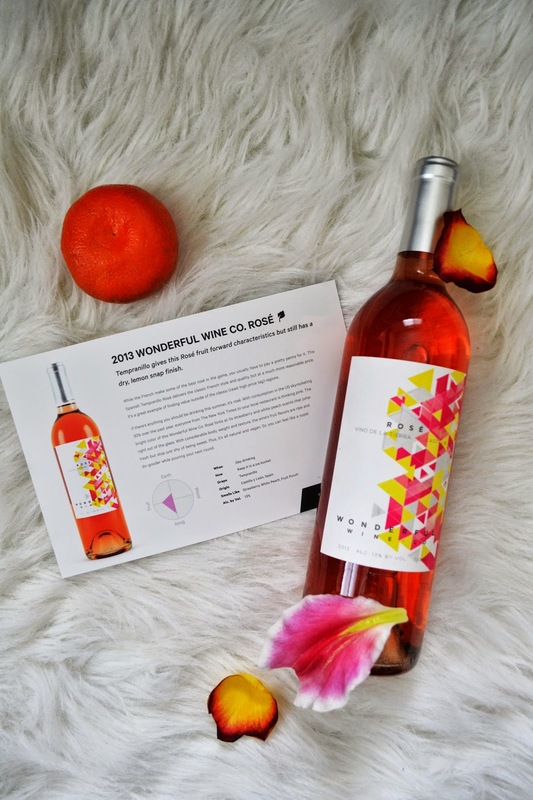 "Tempranillo gives this Rose fruit forward characteristics but still has a dry, lemon snap finish." Unfortunately, I haven't had the opportunity to get into this bottle yet, but maybe once my schedule lightens up and I have a chance to relax and unwind, I'll pop the cork on this one. Each wine came with it's own profile card, and on the back were recipes for delicious dishes that would go with the taste of each drink. Each one looks and sounds phenomenal, albeit way too fancy for me. Some of these things have me scrunching my forehead in confusion, wondering what kind of people are actually familiar with these dishes. Roasted beet salad with pistachios and cheese? Watermelon tomato goat cheese and chili salad? Bahian fish stew?? Yeah, I may have to hire a professional chef if I ever want to try these recipes. Ain't nobody got time for that! If you're not into wine, well, I hope you at least enjoyed the pretty pictures. What's your opinion on wine? On alcohol in general? Would you try Club W? In Russia you can already buy alcohol when you turn 18, and I don't really like it. I don't think that alcohol should be allowed for such young people. Nevertheless, teenagers all over the world drinks beer, and sometimes after beer teenagers start to drink vodka or something stronger. This is a global problem:( I drink dry wine or champagne from time to time too, but quite seldom. 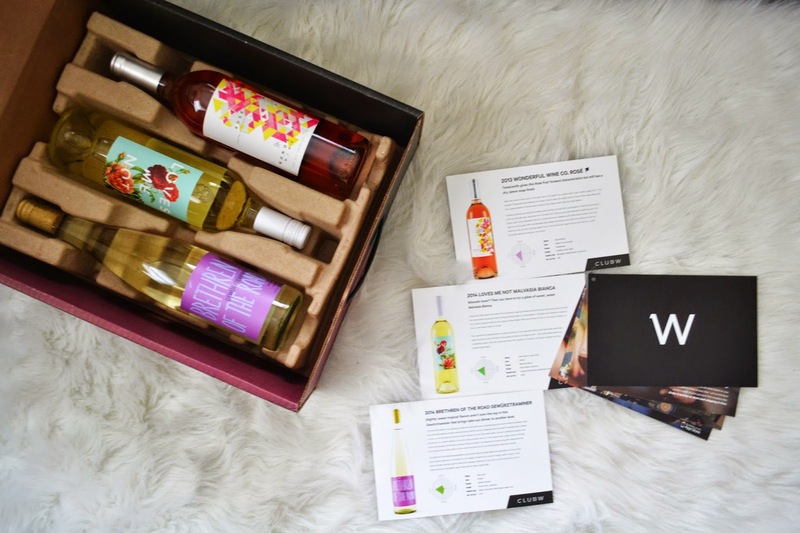 Whatever, regarding your post I just want to say that those bottles of wine look absolutely fabulous, I'm not sure about the taste, but I believe they are delicious:) I enjoyed this post a lot, Linda:) Thank you! I liked Club W, I got free bottles, but I recently gifted them to my brother and sister in law, since I was going to be away for a while. This is actually a great idea to help expand your taste buds! Loved this review, intrigued to try it out. And the best thing - after the bottles are empty, you can even use them for candles or flowers and still have the nice packaging in your house! I don't drink wine, but my friends do. 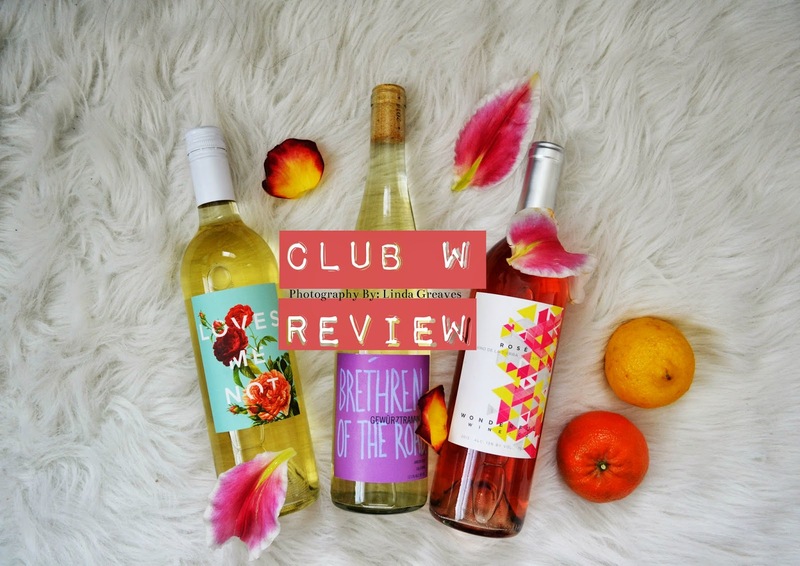 Great review and I must say the bottles are really cute. -nice packaging too. I'm not a wine person myself! I hated champagne too, until our photographer gave us some to toast with for our wedding photos. I was a convert, it was delicious! :) I ended up keeping the bottle to top up my glass with over dinner, as the restaurant didn't have that brand available. omg!! cute bottles!!! :D now i have to get me some wine, hahaha! Ok, this is the coolest birthday present to yourself, ever. I want to do this! I especially love when booze doesn't taste like booze (your second wine bottle). Though that can be a tad dangerous, seeing how I'll most probably chug it down haha ;) I'd love to try this! And thanks for that discount code, that'll make me feel less guilty spending money on drinks rather than bills, haha!